Ailie is an ARC DECRA Fellow in the School of Earth, Atmosphere and Environment at Monash University. She has previously completed two postdocs at the University of Melbourne, Australia and at the University of Washington, USA where she worked on problems associated with climate variability and change in the Southern Hemisphere. Her research interests include identifying and understanding variations and trends in Australian climate extremes; investigating the role of multi-decadal scale climate variability in the Australian region; and characterising pre-instrumental climate variations in Australia and Antarctica using palaeoclimate data. 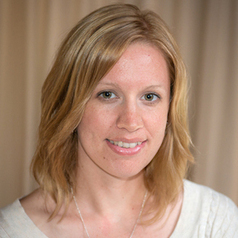 Ailie completed her PhD at Monash University in 2009 in the School of Mathematical Sciences. Her dissertation, titled Trends in extremes of the Australian climate, was supervised by Prof. Michael Reeder, Mr. Kevin Hennessy (CSIRO) and Dr. James Risbey (CSIRO). Prior education includes an Honours degree (1st class) and Bachelor of Science at Monash University, which included a one-year exchange at the School of Meteorology at the University of Oklahoma (2002/03).